I was trying to find something to go along with my baked manicotti and happened upon this recipe from White on Rice Couple. The recipe is for Garlic Knots and they looked too good to not try. I knew I wanted some type of garlic bread without it being a plain garlic bread. With the Garlic Knots we had something to dip in the left over easy marinara sauce. I altered the recipe a bit and only used half of the dough. I put the remaining dough in a Ziploc bag and have it in the fridge for future use. Reading through the comments on the original recipe’s post I see that the dough will keep up to a week and still be good (longer yields a sour dough type bread.) I know we’ll use the dough because these are absolutely amazing. The main changes I made to this recipe was the garlic sauce. I used 2 sticks of unsalted butter and only a drizzle of oil (swirled around the bowl once.) I also used garlic powder instead of garlic cloves because I ran out. Good enough reason! What’s your favorite pasta side dish? Combine water, 1/4c olive oil, salt, sugar, and yeast in a large bowl. Mix to dissolve the yeast. Add the flour and mix thoroughly. Cover with a lid or cloth and allow to sit for 1 – 3 hours. I left mine in the laundry room while I had the dryer on. Prepare/flour your surface for rolling out the dough. Roll it to about 1/2 inch thick and then cut slices from the rolled dough. Tie the ropes into knots. The original recipe suggested using oil to prevent the rope from sticking – sounds like a great idea to me! Place the knots on a parchment lined baking sheet and cover again to allow them to double in size. When the knots are doubled in size bake for 12 – 15 minutes or until the knots or golden. While the knots are baking start making your garlic sauce. I made mine in a wok but a saucepan will work too. Add in the butter and garlic and heat at medium heat until the butter is melted. Transfer the sauce to a large bowl and drizzle Extra Virgin Olive Oil around the bowl once. Stir the sauce so it’s well mixed. Toss in a few garlic knots at a time.Stir until each knot is well coated with the garlic sauce. You can brush the sauce over the knots if that’s easier. You know, I’ve always wanted to learn how to make these. I order them every time I see them on a menu. I’ll be putting this recipe to the test soon! Thanks for the great recipe. I have always wanted to try and make these. Next time we have a pasta night, this is going on the menu! Those look delicious! I pinned them to Pinterest! yum! OhmyHECK – these look SO good!! Oh my goodness these look so good! I feel like running into the kitchen to make them. Oh my goodness. Does this look so delicious! I can literally taste these your pictures are so good. YUM!!! Oh yum! These look so good I pinned them so I can try them soon! Oh yummy! These look so good! I am adding this to my recipe book right now! Thanks! These look so good and so easy to make. Thanks for sharing. These look so great! I can taste their goodness. Thanks for sharing. “oh my sweet holy crap!” we’re my husband’s words as he bit into one of these. I was a little skeptical of the amount of yeast, but I gotta say, these were delicious! Far and away the best garlic knots I’ve made. Thanks for sharing the recipe! You’re definitely welcome! My guy was the same way when he first tried them; I’m pretty sure there was a eyes rolling in the back of his head type thing going on. 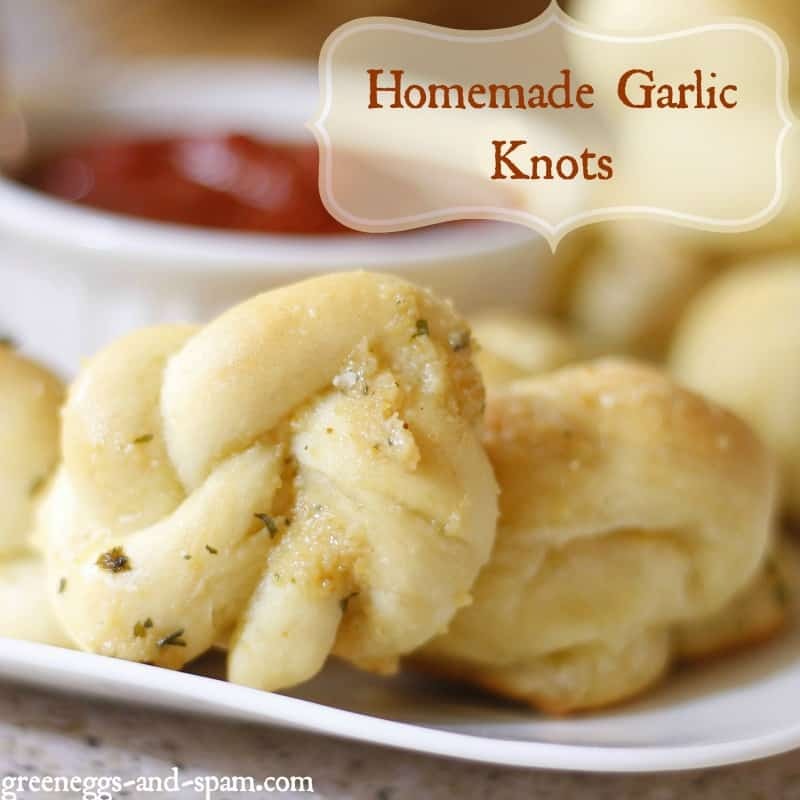 I love garlic bread, so these knots look super yummy and fun to eat! Definitely yummy and very easy to make once you get the hang of it. Amber, you seriously need your own cooking show! Or go on one of those contest shows. I’d vote for you! I think I’ve pinned half your site already! These look so much better than the mass-produced pizza place ones. Oh yum! These look marvelous and I imagine they smell amazing when they are baked! Oh, man! I love homemade rolls and even better when they’re made into knots. Plus garlic? Get out! Pinning for sure! Thanks for sharing! I love making my own bread and these look wonderful. I cannot wait to make them. I just pinned the recipe! Wow, this sounds fantastic! I’m saving it to my Ziplist and look forward to giving this recipe a try. If you haven’t already, I’d love if you’d come join my How To Tuesday link party, too. These really caught my eye at How To Housewife link party. They look delicious. These look delicious. I have a link party called Wednesdays Adorned From Above Blog Hop and would love to have you share this and any other posts with everyone. It runs from Tuesday night through midnight Sunday. These would be perfect with pasta! Can’t wait to try them. Oh my goodness, this looks like something I wouldn’t be able to stop eating! haha! YUM! 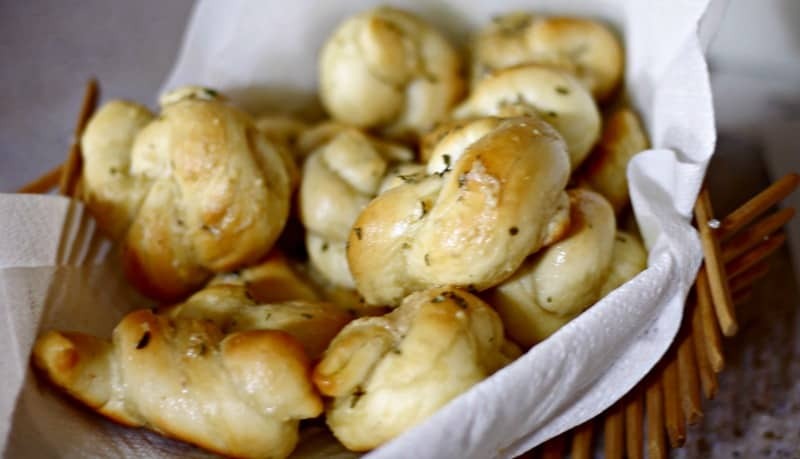 Your Garlic Knots are just fantastic, I can’t wait to try them. Hope you are having a great weekend and thank you so much for sharing with Full Plate Thursday. 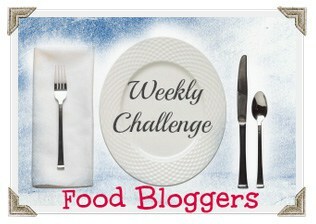 Your recipe is featured on Full Plate Thursday and Whats For Dinner Next Week, this week. Enjoy your new Red Plate and have a great weekend.